From 1950 to 2000, Charles M Schulz's Peanuts comic strip was a constant feature of newspaper back pages, with a global readership of up to 355 million. As a new exhibition celebrates its eternal appeal, WILLIAM COOK reveals some surprising facts about Charlie Brown, Snoopy and friends. 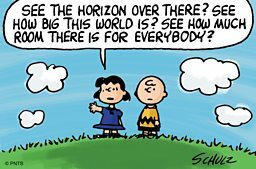 Superficially, Peanuts may have looked like a strip about children, for children - but though the characters lived in a childlike world, they were beset by adult hang-ups, and over its 50-year lifespan the strip addressed themes including art, faith, existentialism, race, war and feminism. The characters inhabited an idyllic Americana of summer camps and little league baseball matches, but their weltschmerz (world-weariness) was familiar to grown-up readers across the globe. “To say this is a strip about childhood is foolish,” stated Schulz, emphatically. Schulz’s creation has a long-running association with NASA, with Snoopy having been featured on safety materials at the US space agency since the mid-60s. 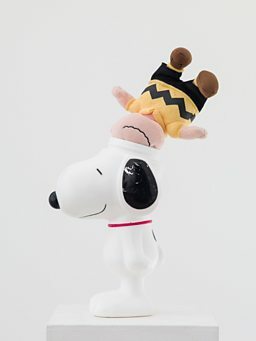 In 1968 NASA created the Silver Snoopy Award, which recognises achievements by its employees, and a year later two of the modules in the Apollo 10 lunar mission were named after Charlie Brown and his canine companion. Schulz reportedly said this was the proudest moment in his career. A new deal announced this summer means that NASA will continue to use the characters to promote its work in science and technology education. Peanuts’ first black character, Franklin, made his debut in 1968, shortly after the assassination of Martin Luther King. “I’ve been thinking of how to do this for a long time, but up until recently I had always come to the conclusion that I wasn’t capable of doing this thing properly,” said Schulz, at the time. And though it was never officially stated, many have interpreted Peppermint Patty and Marcie as being in a lesbian relationship - a theory that's been referenced in shows including The Simpsons, Family Guy and The Big Bang Theory. Snoopy was modelled on a dog Schulz owned in his teens, called Spike. Spike looked a bit like Snoopy, but he wasn’t a beagle - and nor was Snoopy, despite being referred to as one. “It’s just that beagle is a funny word,” said Schulz. In any case, as the strip evolved, Snoopy became less canine, and more and more human – walking upright, wearing clothes and sharing his thoughts and feeling with the world. Linus is named after Linus Maurer, one of Schulz’s art school friends, who was sitting right beside him when he first drew a doodle of the character. Linus’s security blanket was modelled on the security blankets of Schulz’s own children. Schulz was particularly proud of this motif, which he hoped would make parents less concerned about this childhood habit. “It suddenly made security blankets and thumb-sucking OK,” he said. Schulz adored his five children, but they provided scant inspiration for Peanuts, which was mainly prompted by memories of his own childhood. Schroeder’s grand piano first appeared way back in 1951, and his obsessive love of Beethoven soon became a comic staple of the strip. Schulz actually preferred Brahms to Beethoven, but he thought Beethoven sounded funnier. The music that Schroeder plays on his toy piano is bona fide Beethoven, which Schulz copied painstakingly from the original sheet music, with meticulous attention to detail. Schroeder was named after a childhood acquaintance whom Schulz used to caddy with at the local golf club in Saint Paul, the Midwest town where he grew up. “None of the characters in Peanuts is modelled on anyone I know, but the names mostly come from friends,” he revealed. Schulz, who died in 2000 aged 77, inspired a huge range of cartoonists and animators, including Simpsons creator Matt Groening, Jim Davis (Garfield) and Pete Docter, director of Up and Monsters, Inc.
“More than anything, I wanted to be able to draw expressions like Schulz did,” wrote Docter, in a heartfelt foreword to Celebrating Peanuts, a lavish Schulz compendium published by Andrews McMeel. Good Grief, Charlie Brown! 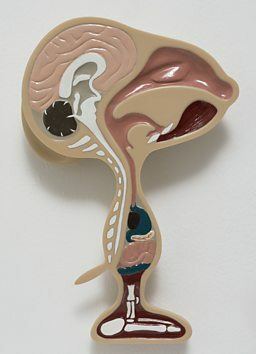 is at Somerset House, London, from 25 October 2018 to 3 March 2019. The Good Grief, Charlie Brown! 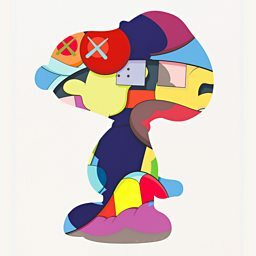 exhibition at Somerset House includes new works by artists and designers who have been inspired by Peanuts, working in disciplines including sculpture, music, film, design and fashion. 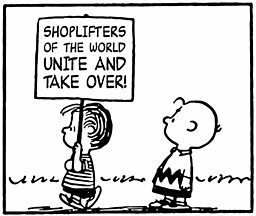 Among them are US pop artist and designer KAWS, London painter and sculptor David Musgrave, Japanese artist Ken Kagami and San Francisco graphic designer Lauren LoPrete, whose Tumblr page This Charming Charlie combines Peanuts strips with Smiths lyrics. Alistair Cooke commemorates the life of Charles M Schulz, the creator of Peanuts. Featuring contributions from Schulz's widow Jeannie and Anita O'Brien of the Cartoon Art Trust. Discover the Handsworth Self Portrait photographs. The weird world of controversial artist Jeff Koons. See the Renaissance master's drawings in twelve UK cities.